Subject description: M-Tec is bringing doom to this mod! Or Doom? Beware the Doom! and various other changes that have been made in the time between last update. As is usual for projects like this one, things change over time. Back when I made the first (proper) iteration of various structure models, things were a lot less fleshed out for this mod then they are now. One of the major things that has changed since back then is how the resource works (both lore and gameplay wise). 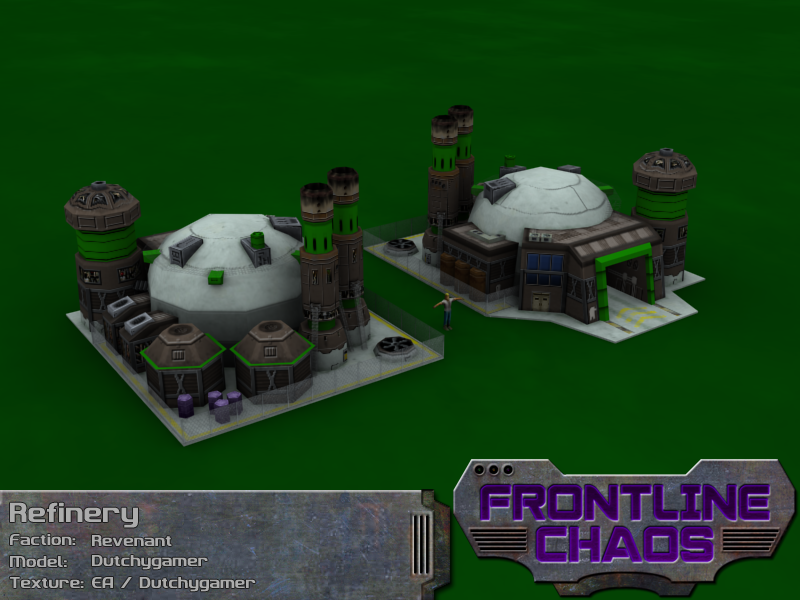 As a result, the old Refinery model I made for the Revenant faction didn't fit anymore. And to be fair, compared to the more recent structure models it looked... bad. Back then I was happy I found a design and texture style I liked, but nowadays it just doesn't fit anymore. Luckily, the invented something for that: remaking models. After various fatal accidents with the first-generation Refineries, Revenant engineers were forced to redesign the blueprint for their Litensplant Refineries from scratch. To contain the complex chemical processes used to convert Litensplant into raw resources, a large concrete dome was used as the base for the new design. The remainder of the structures was build around this dome, with the Harvester docking hanger at the front, the storage containers for the gathered Litensplants in the back, and the remainder of the structure to the sides of the dome. The storage containers received additional protection, the smoke stack was redesigned and doubled, and the non-volatile part of the chemical process was moved to a large tower outside of the dome. Lastly, the hanger is now able to deploy new Harvesters, which have been removed from the Weapons Assembly Depot as a result. As with the first-generation Refinery, it is a valuable part of any Revenant base. 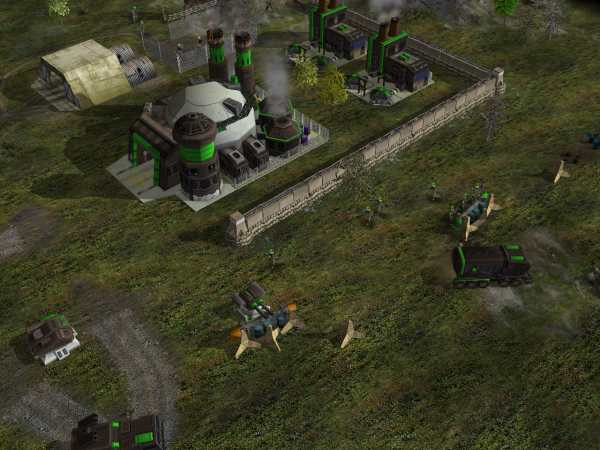 Without a Refinery, Revenant forces are unable to convert Litensplants into raw resources, thus depriving them from their primary income. 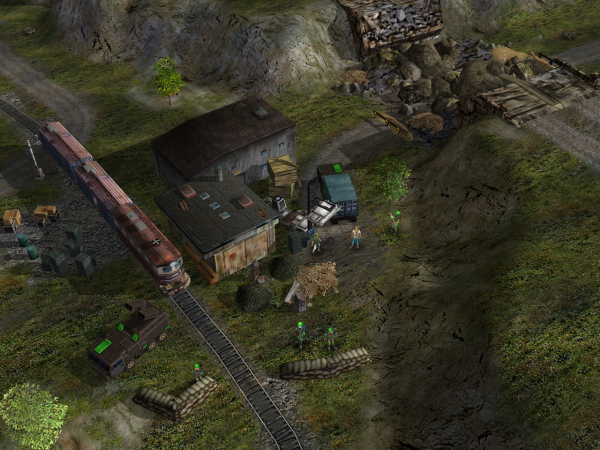 While the second-generation Refinery comes with additional armour, it still needs protection from enemy assaults. Besides that, Legion also needed some love. Model-wise they barely have anything that has a proper texture (besides what has been shown before), and 90% of it is made from before even the first iteration of Revenant structure models. Infantry-wise, they all used vZH infantry models, repurposed for whatever use I had in mind. 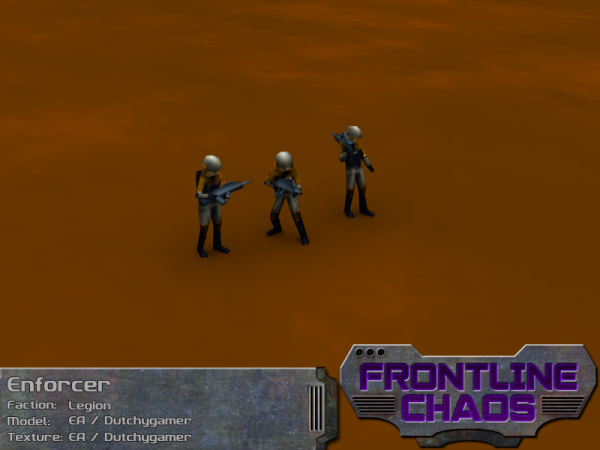 Recently the Legion infantry roster has been revised, and now it's time to introduce their basic light infantry, the Enforcers. 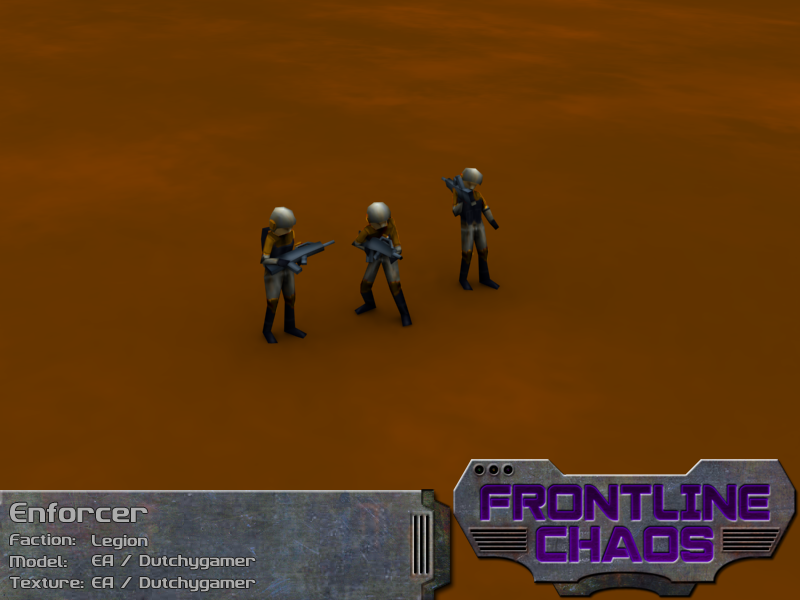 Enforcers form the core of the Legion infantry platoons. Drawn from the armies of their defeated foes, Enforcers are known for being highly trained and motivated soldiers. Each Enforcer is equipped with ballistic armour that covers most of the body, and a LE-2 Service Rifle which can fire accurate bursts even at medium-long distances. 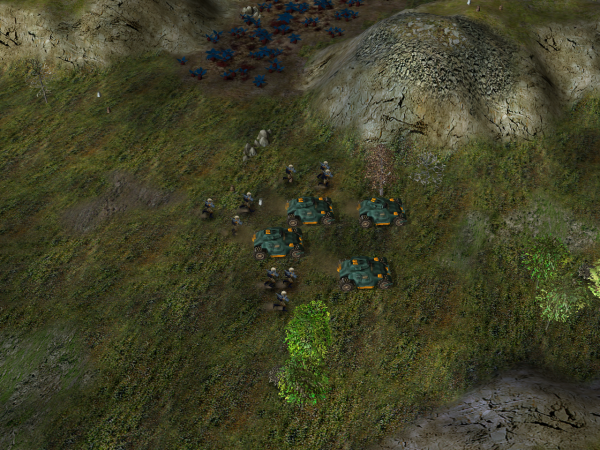 Trained to handle most infantry combat situations, Enforcers can handle most enemy personnel in even numbers. Unlike their Revenant counterparts, Enforcers have neither the training nor the equipment to capture neutral or enemy structures. This role has been delegated to dedicated technical personnel according to Legion doctrines. Similarly, the usefulness of Enforcers against armoured vehicles is limited, and thus must rely their fellow soldiers trained to hunt down these armoured threats. To provide a focal point on what to finish first, I've begun working on an actual mission I had planned out. 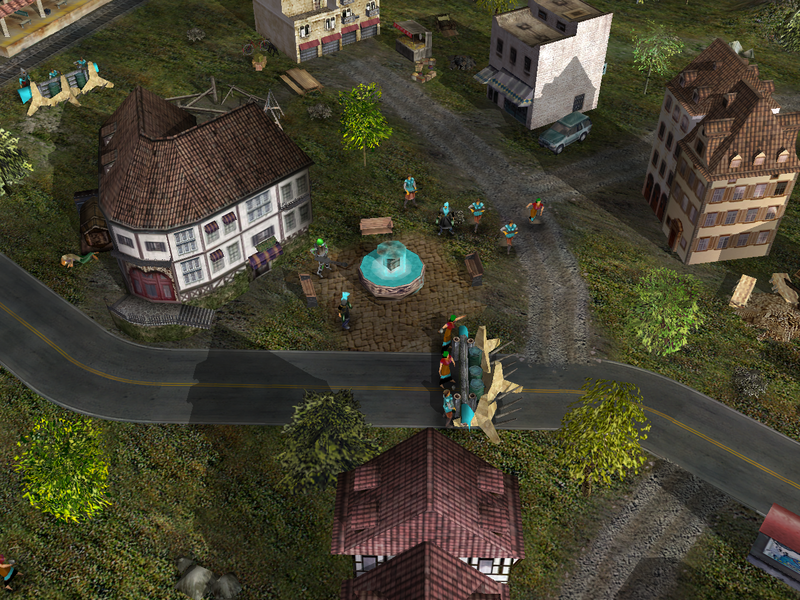 Not a remake of an existing C&C mission as I attempted (and never finished) earlier, but an actual campaign mission. While I originally wanted to wait with this update until I had finished everything needed for this mission, I have come to the conclusion that at the rate at which I was progressing, it would be until next year before I had finished everything. It doesn't also help that I added some brand new things for that mission that I found would make it look better. Here are some sneak previews of the mission, which include some of those new things as well. Lastly, I've also been dabbling a bit in modding for a little game called Doom (ye old one, not the 2016 one). Long story short: due to me making some fixes for a mod, and the owner not having the time currently, I now also have a Doom mod as one of my projects. You can check it out here if you are interested. And with that, I conclude this update. Until next time. 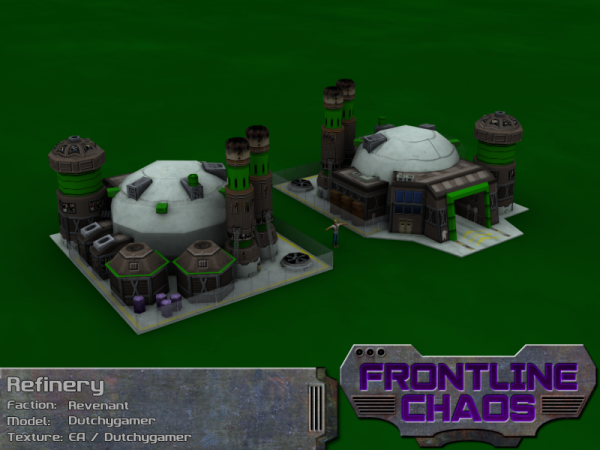 If you are curious for more information about this mod, visit the Frontline Chaos forums at PPM.